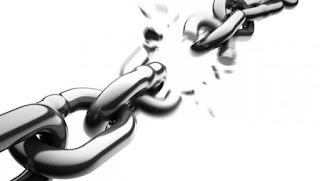 Yesterday, we talked about whether or not bad links on your site are worth deleting. The simple answer to the question was, you might as well do it, but it'll be better to adjust your website, rather than trying to bend it. If you've been manually penalized, then this step becomes more or less necessary. But what about the links to your website, which aren't in your control? 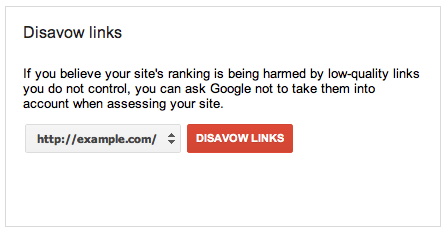 Luckily, Google has now released a link Disavow tool, which will solve such problems. Quite simply, any unnatural links to your site can be disinherited, or 'disavowed', hence preventing Google from considering them. When your website has been manually penalized, you will receive a bunch of messages in your Webmaster Tools, specifying links which look suspicious. You should take your time, and remove as many of them as possible. If those links are located on another website, you must first contact the site owners, and request a removal of bad links to your website. You should use the disavow links tool only if you don't get any response from the site owners. Simply log into your Google Webmaster Tools account, and visit Google's Link Disavow tool. Select a domain from the list, and click on Disavow links. Don't worry, this won't do anything. It will just start the process. Now, you will be prompted to upload a text file containing a list of all the URL's or domains you want to block out. For whole domains, the format will look like this. domain:example.com. For single links, you can simply put in the full URL. Here is a sample text file from Google. Note: Every different link or domain must be on a separate line. And lines that start with a # aren't counted. You can only upload one file of maximum 2 MB size. If you need a hand looking for bad links to your site, it'll probably be best to check out Who Links To Your Site in Google Webmaster Tools. Simple go into Traffic >> Links To Your Site >> Who Links The Most >> More. There, you will see a download button where you can download a file containing all links to your site. When you tell Google to disavow your links, the changes may not be immediate. It could take some time before those links are considered as useless by Google. And Google might not even consider the links you submit if it doesn't trust your submission. Also, if you make a mistake, it might take weeks to rectify, so be careful. Hope I made myself clear. If there are any confusions, do let us know in the comments below. Just Google webmaster and click the first result and fill your gmail account information to login. "This is an advanced feature and should only be used with caution. If used incorrectly, this feature can potentially harm your site's performance in Google's search results. We recommend that you only disavow backlinks if you believe you have a considerable number of spammy, artificial, or low-quality links pointing to your site, and if you are confident that the links are causing issues for you"
What to do? Is there anything wrong with my blog???? Its good,is it available for google blogspot blogs? Mohammad Mustafa Ahmedzai Great Work Keep It Up!!!!!!!! Dear Brother.... now tell me... is there need to upload text file with links or or xml file..
Sir please tell me how to use it found bad links for my website so that i can use this tool .My website is www.samplequestionpaper.com/ .